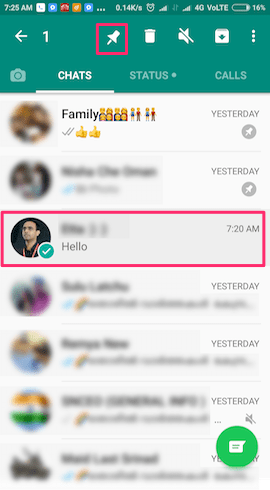 On May 17th, 2017 WhatsApp rolled out a very useful update that enables users to pin chats to the top of your chat list, so you can quickly find them.WhatsApp’s Pin Chat feature could save you a lot of time and energy scrolling down your chat list to get the chat with your favorite contact you frequently communicate with through WhatsApp. This little feature will make life easy for many users who needs to “stay on top” of important chat conversation than find themselves immersed in ever-updating group chats. The below image shows the chat conversations that are currently pinned. 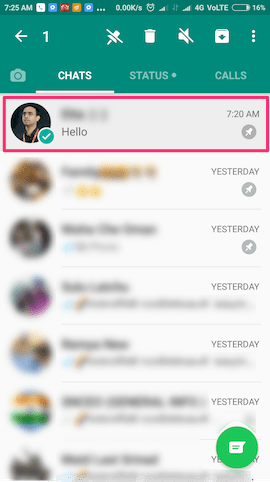 No doubts, this is definitely a nice and innovative move from WhatsApp. 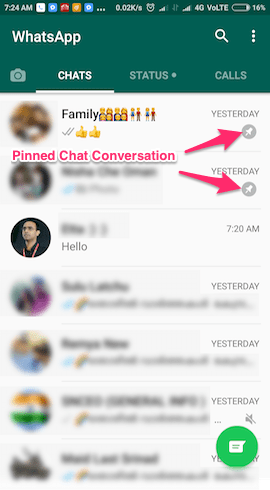 To pin a Whatsapp chat conversation long press on the chat conversation that you want to pin. After a few seconds, the top menu bar will appear with a pin button. Tap on the pin button to pin that chat conversation to the top. 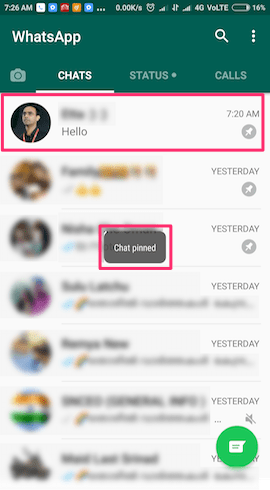 To unpin a chat conversion follow the same step of long pressing the desired chat conversation and tap on the unpin button.